Learn about working women in The Netherlands, our royalty, or relationship with water, some history and a lot more. On this map: in the middle of Western Europe, in BLUE. If you think that word 'Sinterklaas' sounds a bit like 'Santa Claus' you would be right: the word Santa Claus probably goes back to our word 'Sinterklaas'. Sinterklaas is Dutch for Saint Nicholas. This saint from what's now Turkey has his saints day on December 6th. His birthday is celebrated on December the 5th with gifts for kids and songs and a live Sinterklaas who shows up on tv and people's living room. Dutch mythology has it that Sinterklaas lives in Spain, with his friends (aka servants) Pieterbaas (or Piet). Each year Sint and Piet come from Spain in their steamboat to the Netherlands. This event is nationally televised. For kids this is a very exiting event. That is: for kids who still 'believe' in Sinterklaas. One of the harder parts of the Sinterklaas celebration is the obvious racism of the elderly and white Sint being served on by youthful black (very black, not brown skinned or anything) Pieten. The imagery obviously derives from slavery. However, the imagery is too entrenched for anything to be changed. 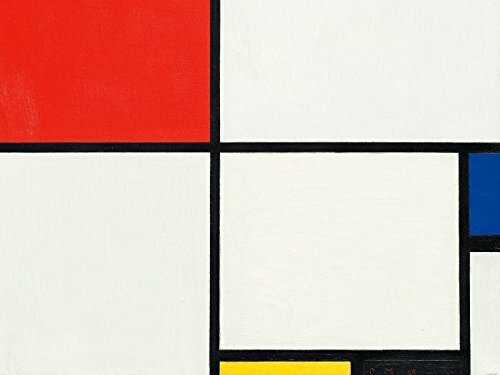 Some years politically correct programmers introduce Piets who are not just painted black, but red, blue and yellow as well - to make it clear that they are a fictional character. Another perspective is the following: since even people of color get their skin painted when they transform into Piet, this is not (or rather: no longer) a racist thing: the main point is the painted skin and the rest of the dress up. I wish I had an opinion on this issue. On the one hand I feel the black piets are obviously racist. Changing their color doesn't really change anything. On the other hand - I don't see people changing this custom any time soon: they enjoy it too much. I played Piet when I was younger, and it was a great experience. Jerking around with the kids etc. It's a bit like carnival in that people play out the relationship with Sinterklaas (a saint, though few people are Christians) and Piet etc. But as I'm not a person of color and the paint goes off my face at the end of the day... I don't have the perspective of having to face discrimination daily or anything like that. Then again - parents and kids from a minority background join right in the fun. They too get dressed up, with wigs and their face painted. All in all: Sinterklaas is a tradition the Dutch people aren't going to let go of easily, and if I were a parent, I would let my kid go along with it just like the other kids. It's one of the few celebrations we feel is truly Dutch: for better or worse. I guess a bit of nationalistic pride comes in after all. Sint comes to a local community center where he and the Pieten will give presents, make jokes and sing songs. This video also shows very well how the kids respond, what the usual dress of Sint and Piet is like and so on. Our flag is red-white-blue. Orange stands for the house of Orange, which is one of the names of our royalty. 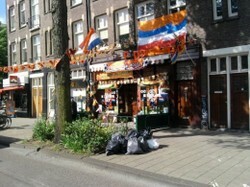 This picture was taken in Amsterdam, but similarly decorated houses and streets could be witnessed all over the country. When we let go of our demure don't fuss attitude, things can get BIG! This scene brings back a lot of memories for me. I have skated on natural ice in most winters when it was possible, often with my mom. It's been a while, but this year it is once again possible. It's a Dutch tradition: we skate on natural ice as soon as the weather permits. With all the warm winters in past years, most of us haven't skated for a while either. Below a video of people ice-skating in the winter of 2008. You can see seasoned skaters as well as kids. The ice was so good this year, that some people even got into ice saling. Too scary for me, but there you go. Why is holland called The Netherlands? The country is called 'The Netherlands' by the Dutch themselves (well actually we call it Nederland, but we don't expect foreigners to use that word). There are two provinces called 'Holland'. Holland was the largest most powerful province in the Dutch Republic when it got started. It's the province that contains both Amsterdam, nominal capital and The Hague (Den Haag), official capital where the government is. The province Holland was cut in two in order for its power to be less compared to the other provinces. So these days Amsterdam is in Noord Holland (North Holland). Den Haag (or The Hague, or 's Gravenhage) is in the province of Zuid Holland (South Holland). Why are the people in the Netherlands called 'Dutch'? Online Etymology tells me the term Dutch stems from the Germanic term 'duutsch' - which referred to the germanic people. The germanic people were all the people speaking germanic languages - now Dutch, German, Friesisch and various dialects in the region. The 'Pensylvania Dutch' is a term that derives from the old meaning - these are people who emigrated from what's now the Netherlands and Germany to what's now the USA. Dutch people call Germans 'Duits' - which makes the term 'Dutch' for ourselves a bit weird. Currently the term 'Dutch' is used in English both for the people of The Netherlands, and the language they speak. Both are called 'Nederlands' in Dutch. Nederland: the Netherlands was the first European Republic since the Roman republic, and we didn't get royalty till the 19th century. The population of the Netherlands is nearly 16.5 million people (2008). Twice as much as the city of New York (2007). Like the Americans, the Dutch don't really have a very exciting cuisine. When we go out to a restaurant, we'll end up eating Chinese (Indonesian), Indian, Italian, American (McDonalds etc.) and the like. I can't think of very specifically Dutch recipes or meals. However, a reader here reminded me: our pancakes do have a different style from UK, American and (probably) German pancakes. I think there's probably a band of pancake eaters throughout northern Europe, but each locale probably has their own style. The Dutch pancakes certainly do. Pancakes are a popular enough food that we have special pancake restaurants, great for outings with kids. However, you'll see groups of all adults in such restaurants, or on them: they're often on a ship. Not that they will usually move about. However, the picture here was provided by a pancake tour boat. Can you get more Dutch than that? A tour boat, where the main food is pancakes? And no, I don't think they mainly cater to tourists. It's probably something for parties and receptions as well. Dutch pancake recipes are a bit like pizza in that all kinds of ingredients get mixed into the dough. A standard pancake is eaten with syrop, however fine sugar or simply butter is also an option. My favorite pancake is a cheese pancake, but other popular options include bacon and raisins. At home the cheese will be melted ONTO the half finished pancake, while in restaurants they'll usually put grated cheese in the dough. Either way they're delicious. In the Dutch supermarket you'll find pre-made pancakes in various varieties, including a whole grain one (and no, you won't taste the difference). In terms of fast food there's meat croquette and frikandel, often on bread with Dutch mayonnaise. We eat oliebol and apple turnover (appelflap) over new years. Typical Dutch candies are the various types of Liquorice sweets. There's a large variety of biscuits available in our supermarkets where you should also check out the deserts section (do try 'vla'). Dutch bread is different from bread elsewhere, especially if you go to a real bakery, of which there are still many. We eat it twice a day. At future queen Beatrix's Wedding on March 10th 1966 there were riots (see the picture on the right). She was marrying a German and many Dutch people didn't approve. At her inauguration in 1980 there were riots again, though these did not reach the Dam (Dam Square) where the inauguration was held. It's not that Dutch people would want to do without royalty - but we aren't very proud of them and they will not get a lot of support just for being there. Maxima, the Argentinian wife of our current king Willem Alexander, is very popular. But she earned that popularity with tears at the right moments, learning to ice-skate, and looking appropriate and fresh at all times. A survey held in 2008 for instance made it clear that 50% of the Dutch people feel the king should not be part of the government. Right now he still has a crucial role in the formation of the government after each election. Actually, only about 20% of the country of The Netherlands is below sea level. The rest is above it and wouldn't go under if the dikes gave way. However, that area is generally the most populated, and the percentage is likely to go up as see levels rise. 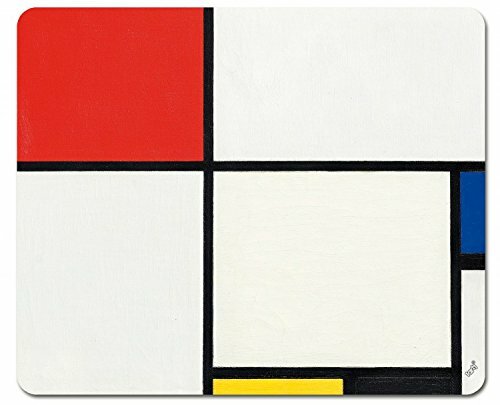 This is the Piet Mondriaan you probably know, though in tune with this page I chose a few relatively unknown paintings. 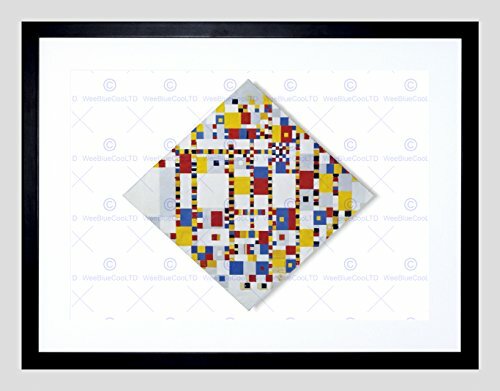 Personally I like the early Piet Mondriaan better though - also available in reprints as you can see. A large percentage of the population is in threat of the sea. First of all: the country is so flat, that even land above sea level will go under if the sea level rises even a meter. The second reason is that the most highly populated area's in the Netherlands are under sea level or near sea level. As you can see: the most populated area's are below sea level and most of the country IS in threat of the water. Proud to be Dutch? Yes, I am, but is that something to be proud of? One of the weird things foreigners note, who stay in The Netherlands for a while is this: Dutch people are hardly ever proud to be Dutch. I live in one of the richest countries in the world - the only reason we aren't in the G10 is because it's so small (only 16 million people: that's less than live in New York). We conquered our country from the water and have some of the best universities in the world (that is: in the top 100 on some lists). But the whole bragging thing is undutch. Ask a Dutch person about a famous Dutch meal - they won't be able to do it. Ask a Dutch person what they like about their country - and they will instead talk about all that is going wrong. Ask who the national hero is... National hero? Don't expect an answer: we don't have a national hero. Dutch kids don't learn the Dutch prime ministers by heart. Dutch kids learn as much European and world history as they learn Dutch history. There are few typically Dutch rituals (except Sinterklaas and dressing in Orange when the Dutch soccer team plays). Where do Dutch people go on holiday? France, Spain, Morocco and Turkey. I personally feel very lucky to have been born Dutch. I can't think of a country I would rather have grown up in, but I'm afraid my sentiment is not shared by too many of my fellow Dutch citizens. Perhaps that's because they have only seen other countries when on holiday? I do feel a bit weird writing the following, but I'm afraid it's the absolute truth. Dutch people are outspoken by any world wide standard. Honesty is the best policy gets transformed into an excuse to be rude to police officers, taxi drivers, teachers etc. In other words: by any international standard Dutch people are simply rude. Yet those of us who manage to learn some manners become good managers. Our outspoken and democratic nature is a blessing in countries like France. Employees actually get listened to and heard. The inability to make room on the escalator for those who want to catch the train. The crowding in front of the train doors so those inside can get out (after which those outside can get in). Rude gestures on the highways are normal. Aggression at police officers and train conductors is at an all time high. There has been media attention drawn to our online forums: they are supposedly more violent and less considerate than similar forums in the USA. People have been writing in the comments that in their experience the Dutch aren't rude at all... Well, maybe we're nicer to those polite tourists? Obviously not all Dutch are impolite. And even those things we complain of among ourselves are perhaps not as bad as we make them sound - did I mention we love to complain? There is no country in the world where biking is so normal as it is in The Netherlands - except China. This is a tribute to Dutch Bikes. Culture, shopping, poetry on the walls, European Dutch old town architecture, fairs and more.